Vintage Valkenswaard Holland Opaline Glass Cigar Humidor for Tobacco. 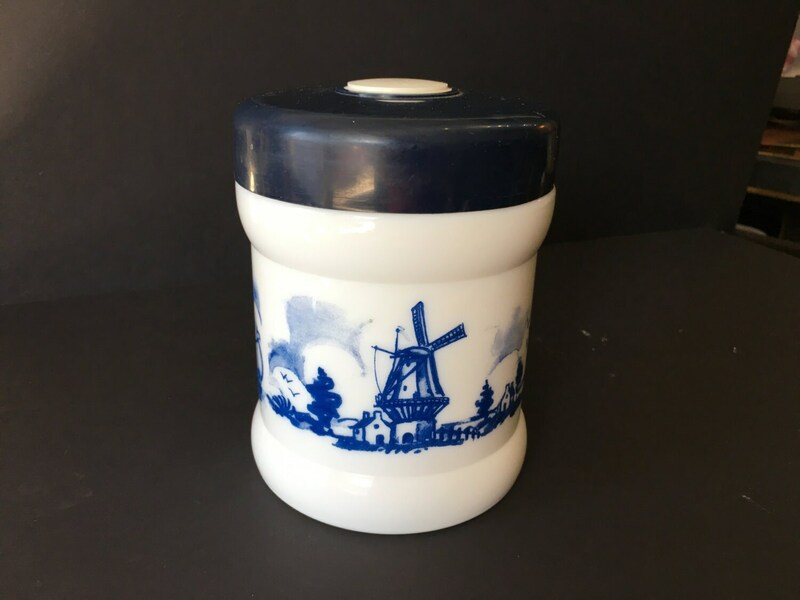 Stands 6" Tall, plastic lid, Blue White Transfer Ware. Very good condition, no chips or cracks, the lid has some scratching on it and jar has a light perfume smell, would need to be cleaned well with hot water to use as a humidor. Antique tobacco products are very collectible. this one from the 30's would look great in a home bar or man cave! 1963 Farm Progress Show Plate Morton, Illinois Green 10"